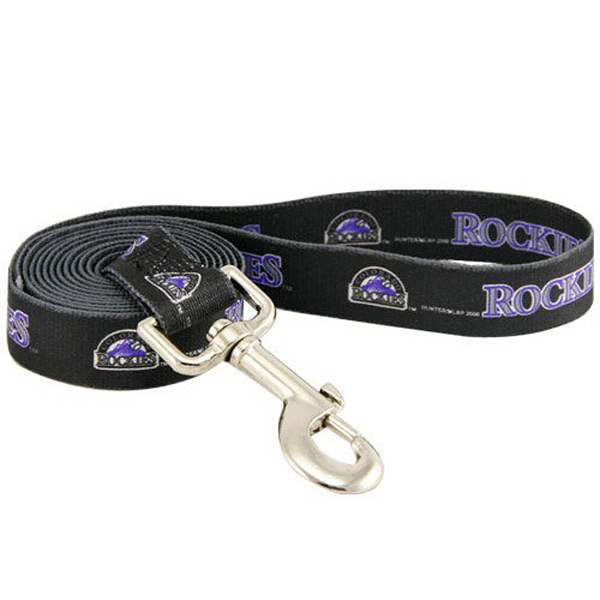 -- Select a Size/Color -- Dog Leash - One Size - Out of Stock! 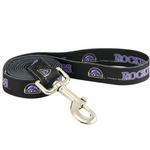 Show support of your favorite team with this officially licensed MLB Colorado Rockies Baseball Printed Dog Leash! The leash is six feet long and 3/4 inch wide and has a metal clip for easy access on and off. Full color logos. Matching collar is also available, sold separately! Posted On 07/27/17 by Valorie V from Denver, CO Yes, Valorie V recommends this product! Looks well made but not sure how long printing will last. I purchased the matching collar. Posted On 08/05/15 by Reggie J from , CO Yes, Reggie J recommends this product! got this with the matching collar and i.d. tag and they all look great together. the leash is good quality and the clip is strong. washes nicely when it gets dirty. Thank you BaxterBoo for all the wonderful items and help I have received from your staff. You definitely have them well trained in all areas of service plus the quality of the items that you offer. My four fury companions and I put on shows for special needs children. Your selection of costumes is vast and your quality is very good. I have been pleased with everything that I have received. This enables my pack to go in well dressed and put on various presentations for these events. We have even made up our own stories with the various clothing items we have received along with classic stories already written. The delight in the childrens' eyes and faces is really very rewarding to see. They love the various characters that are presented to them. Right now all I have are some pictures of the dogs with the children and we are working on getting some pictures of the dogs in their costumes by themselves to send you. I have found that you are the best in the business and enjoy working with your pack. Just wanted to let you know how much you are appreciated. Keep up the good work. Hope each of your Humans gets a treat for a job well done.